China said such actions would also hurt the progress made by both sides, especially after the pathbreaking meet between PM Modi and Chinese President Xi Jinping in Wuhan last year. 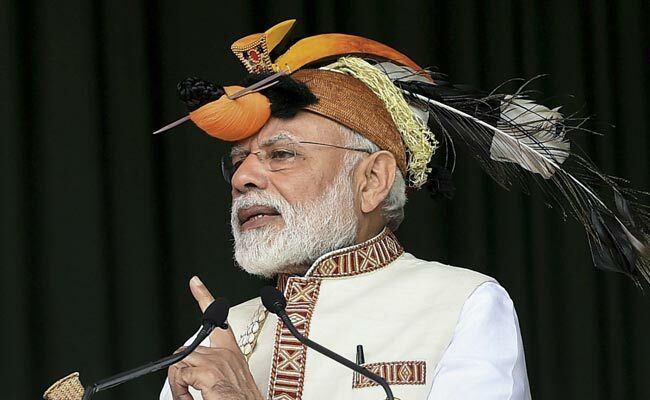 Arunachal Pradesh is an integral and inalienable part of India, the government reiterated its stand, after China objected to Prime Minister Narendra Modi's visit to the northeastern state today. "The state of Arunachal Pradesh is an integral and inalienable part of India. Indian leaders visit Arunachal Pradesh from time to time, as they visit other parts of India," the Foreign Ministry said in a statement. Prime Minister Modi today inaugurated and laid the foundation stone of projects in Arunachal Pradesh worth more than Rs 4,000 crore and said the centre was giving a lot of importance to improve connectivity in the state. However, China reacting to PM Modi's visit, asserted that it has never recognized the sensitive border state and India should refrain from any action that may "complicate the boundary question". China repeatedly slams visits by Indian leaders and foreign dignitaries to the state, which it claims as part of South Tibet and its own. China said such actions would also hurt the progress made by both sides, especially after the path-breaking meet between PM Modi and Chinese President Xi Jinping in Wuhan last year. India and China have so far held 21 rounds of talks to resolve the border dispute over Arunachal. In 2017, Tibetan spiritual leader Dalai Lama's visit to Arunachal Pradesh infuriated China, prompting it to rename some towns in the northeastern state.